Turtles. The chocolate-covered caramel and pecan clusters that I can eat 5 of in 5 minutes. I love those things. But Turtle-inspired brownies are even better. These are some of the best brownies I’ve ever had, tied only with these and another version that’s in my first cookbook. They’re fudgy, not at all cakey, ridiculously rich, boldly chocolaty, and loaded with texture. 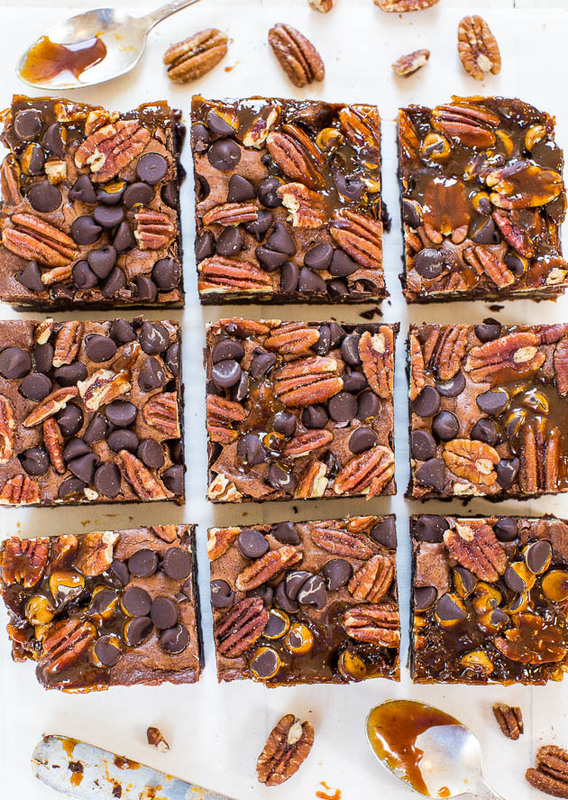 There’s a salted caramel and pecan filling that’s sandwiched inside dense brownies, and there’s chocolate chips and more pecans sprinkled on top. They’re worth every last minute of cardio. 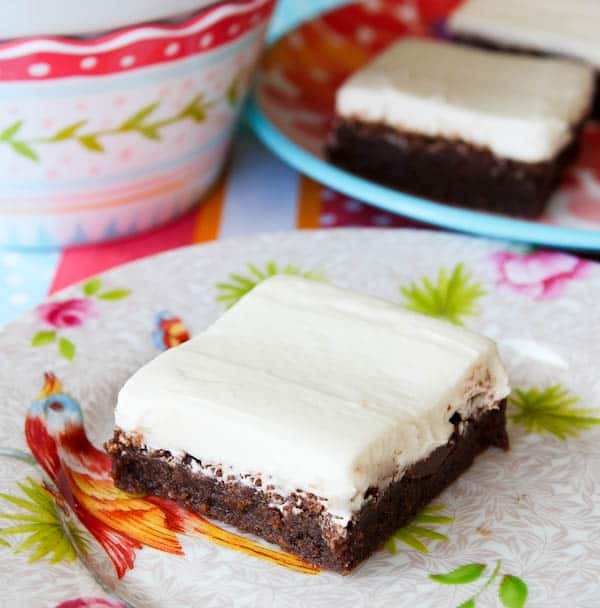 It’s an easy, no-mixer recipe and all my brownie recipes are very fudgy, dense, and what varies is the pan size, ratio and amount of sugars, eggs, and whether I use melted chocolate, cocoa, or a combination. 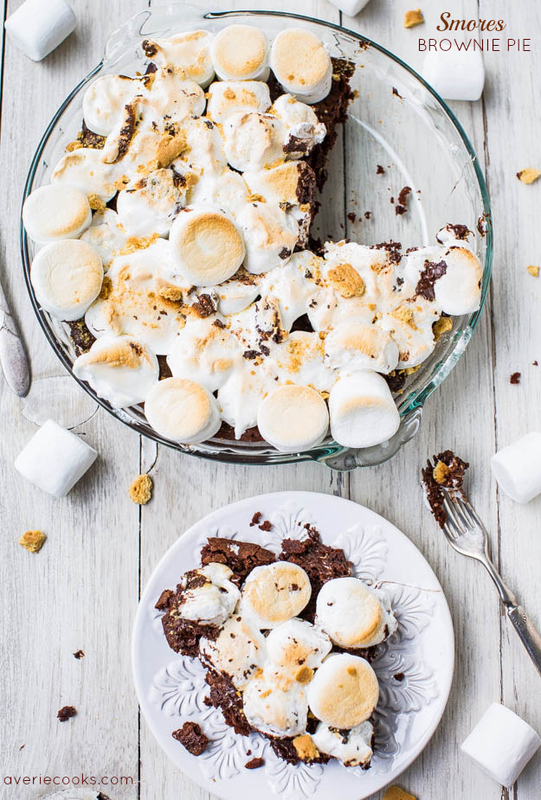 These brownies are made with melted dark chocolate and baked in an 8-inch square pan. You don’t need a big pan of these babies laying around unless you have a football team to feed. Although I’ve previously shunned nuts in desserts, I’ve changed my tune. I blame the Salted Caramel and Chocolate Pecan Pie Bars, another chocolaty, caramely, nutty delight. I used roasted, salted, unchopped pecan halves from Trader Joe’s. If your nuts are raw, toast them for 5 to 10 minutes in a 400F oven to take the raw edge off and enhance the flavor. 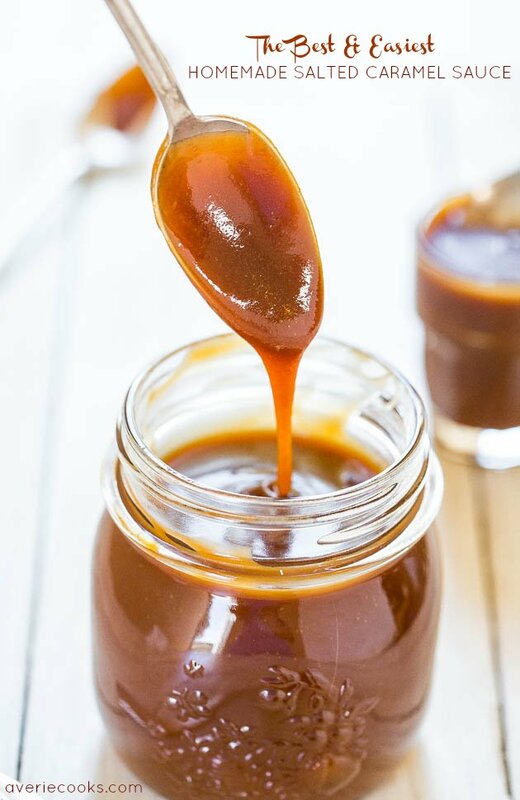 You can either make your own Homemade Salted Caramel Sauce, use Trader Joe’s Salted Caramel Sauce, or use another thick, rich sauce. Don’t use ice cream sundae sauce because it’s too thin. You want something really thick so it doesn’t leak and run everywhere. The hardest part is waiting for the brownies to cool completely before slicing. There’s too much fudginess, drippy caramel, and melted chocolate to slice into until they’ve cooled completely. Slicing too early will result in a hot, gooey mess. I prefer brownies this rich to be served slightly chilled. These were show-stoppers and without a doubt, one of the best things I’ve made in 2014. I’ll never be satisfied with just a plain old Turtle again. These are some of the best brownies I’ve ever had. Fudgy, not at all cakey, ridiculously rich, boldly chocolaty, and loaded with texture. 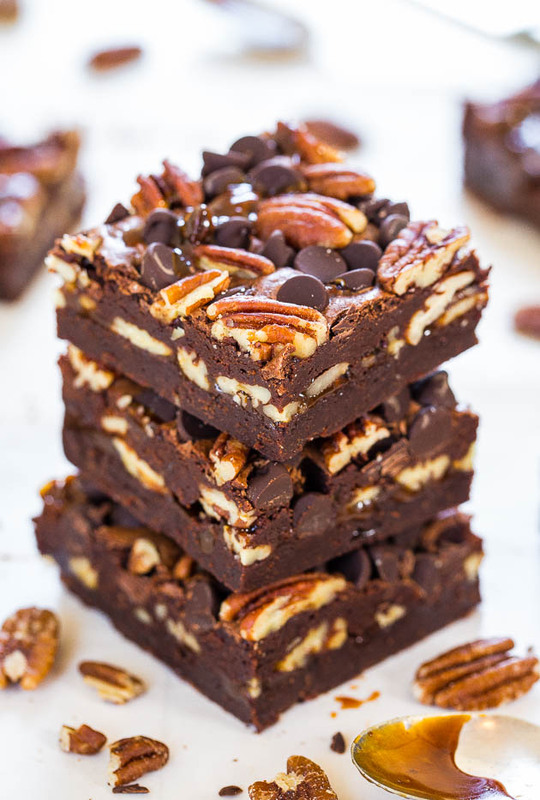 There’s a salted caramel and pecan filling that’s sandwiched inside dense brownies, and there’s chocolate chips and more pecans sprinkled on top. I used roasted, salted, unchopped pecan halves and if using raw nuts, toast them for 5 to 10 minutes in a 400F oven to enhance the flavor. The coffee and espresso don’t make the brownies taste like coffee and enhance the chocolate flavor. Either make your own or use another thick, rich caramel sauce. Wait until the brownies are completely cooled before slicing. Slicing too early will result in a hot, gooey mess. I prefer brownies this rich to be served slightly chilled. Preheat oven to 350F. Line an 8-inch square pan with high-quality aluminum foil such as Reynold’s Non-Stick (highly recommended so caramel doesn’t stick to pan) leaving overhang and spray with cooking spray, or grease and flour the pan; set aside. Brownies – In a large microwave-safe bowl, add the butter, chocolate, and heat on high power to melt, about 2 minutes. Stop to check and stir after 1 minute. Heat in 15-second increments until chocolate has melted and mixture can be stirred smooth. Allow mixture to cool momentarily before adding the eggs so they don’t scramble. Add the eggs, sugar, vanilla, optional coffee, optional espresso granules (neither make brownies taste like coffee and both enhance and round out the chocolate flavor), optional salt, and whisk vigorously to combine. Add the flour and stir until smooth and combined. Turn half the batter out into prepared pan (I draw an imaginary line down the center of the batter with my spatula while it’s in the mixing bowl andeyeballing it, I pour half into pan); reserve remainder. Bake for 15 to 16 minutes, or until top has just set in the center; don’t overbake because pan is going back into oven. While brownies bake, prepare the filling. Filling – In a medium bowl, add caramel (microwave it for 10 seconds if your is very thick or hard to get out of the jar), pecans, and stir to combine; set aside. After brownies have baked for about 15 minutes, remove pan from oven and using a spatula carefully and evenly spread the filling mixture over the brownies, taking care to not let the filling plop down in one spot because it will be difficult to spread without disturbing the brownie layer. Evenly top with reserved brownie batter, smoothing it lightly with a spatula. It’s normal for it to have thickened up some. Topping – Evenly sprinkle the chocolate chips. Bake for about 24 to 25 minutes, or until center has just set and is no longer glossy. It’s a bit hard to tell when done because center is buried under chocolate chips and pecans, but if you look closely you’ll be able to determine if you’re looking at raw brownie batter or just melted chocolate chips. The toothpick test is unreliable because you’re going to hit melted chocolate chips and then gooey caramel sauce so it’s better to just eyeball it. Allow brownies to cool in pan on top of a wire rack for at least 3 hours. Cover with a sheet of foil to prevent fridge smells, and place pan in fridge for about 2 hours, or until sufficiently chilled for slicing. Lift brownies out using foil overhang, slice, and serve. Brownies will keep airtight at room temp for up to 1 week, in the fridge for up to 2 weeks, or in the freezer for up to 6 months. I prefer these brownies slightly chilled and store them in the fridge. Made these last night for a world cup party, and they are indescribably delicious. 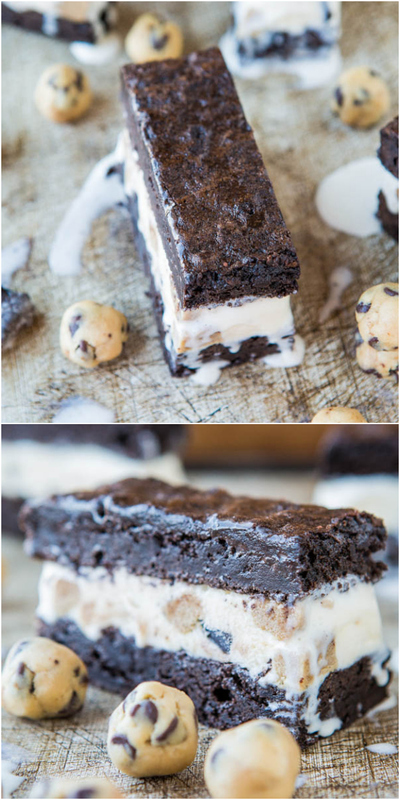 I normally dislike fudge-y brownies compared to more dry, chewy ones, but these changed my mind. I used only 1/2 c of sugar (my family likes things less sweet), and the brownies turned out perfect. I really like the pecan and dark chocolate additions because they make the brownies buttery and rich tasting. I have to say mine turned out a little less pretty than yours (pshh who needs 5 hours of cooling time when they can have instant brownie gratification), but nobody minded after taking a bite. 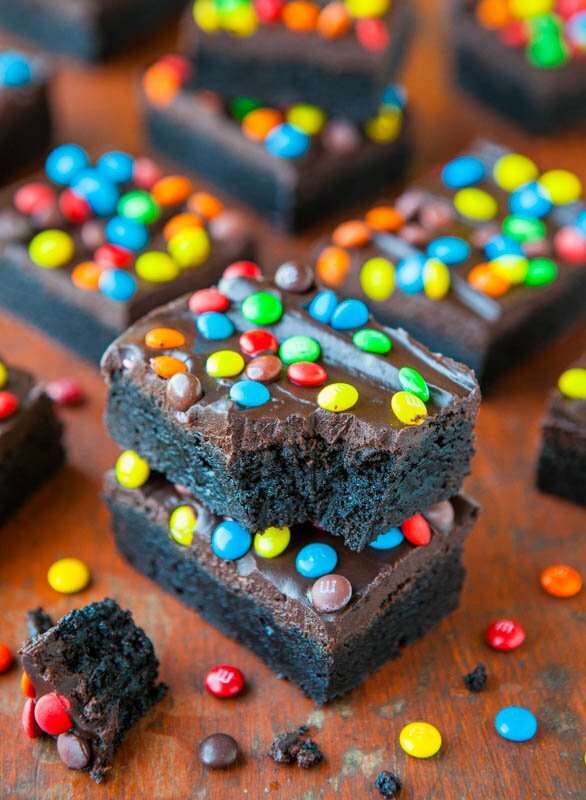 So glad these changed your mind about fudgy brownies! they make the brownies buttery and rich tasting. = agreed! instant brownie gratification = love that :) And if you’re not taking pictures of them for a food blog, who cares if they don’t look totally pristine. It matters how they taste! Thanks for trying them on the same weekend I posted them! 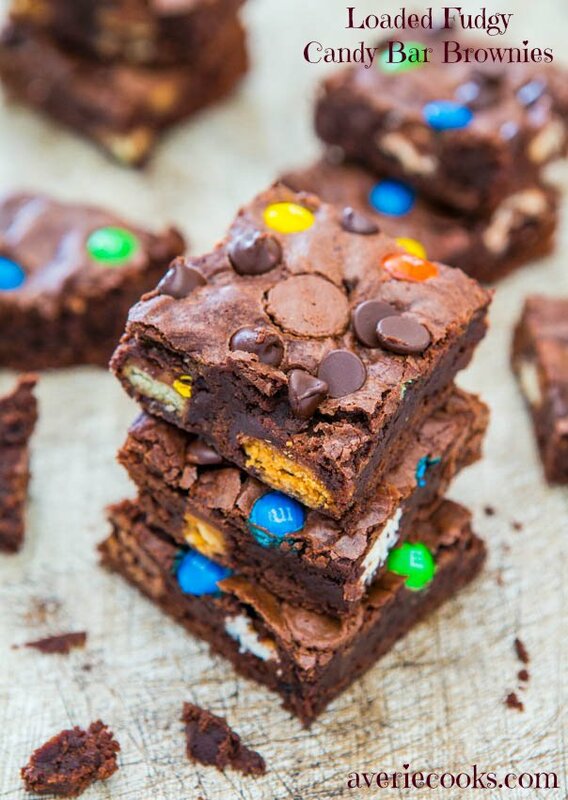 Gorgeous, these look like brownie heaven. Pinned! Happy early Bday & enjoy! Wow! This look like the most EPIC brownies ever!!! I would love to gobble one of these up right now. *squee* Look at that fudgy texture!! I’m not a huge nut fan either but turtles are in a league of their own; pecans are allowed! omg these look amazing!!! 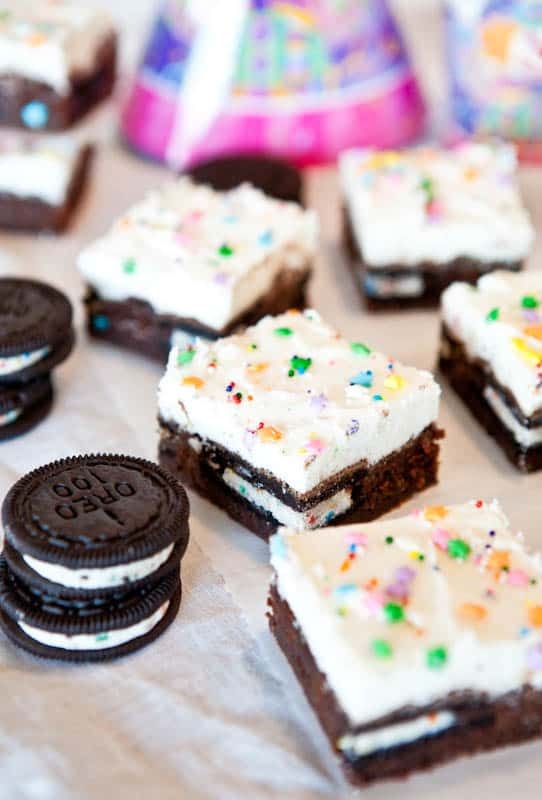 I have a party coming up and I’m thinking these need to be on that table!!! :) Awesome recipe! Seriously, there are no words. Those brownies are PERFECTION. 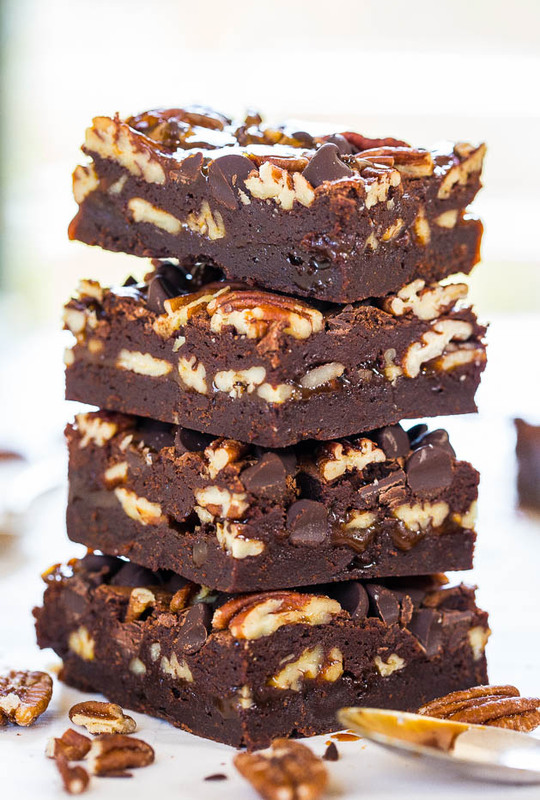 These brownies are a work of art — they’re gorgeous and they look beyond delicious! YUM!!! 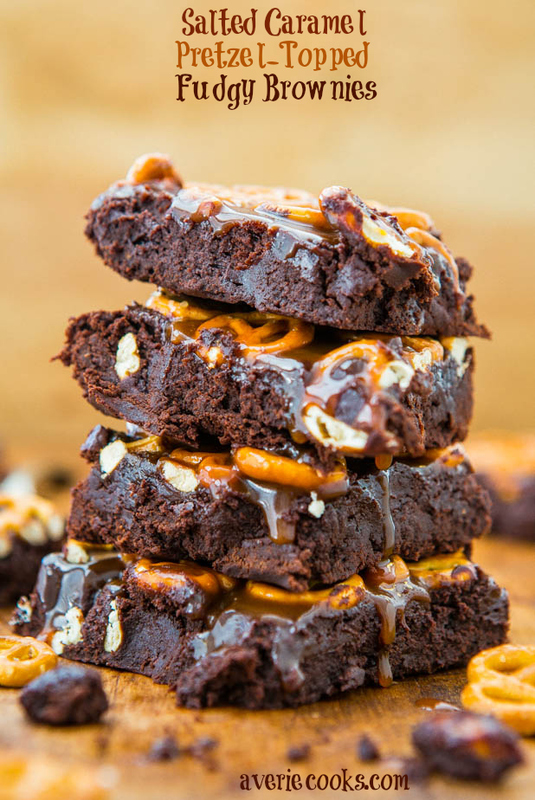 These brownies look over-the-top delicious. Turtles are the best and these look even better! Can I move in with you, and eat all of the delicious food that you make?! I swear, your food always has me drooling! 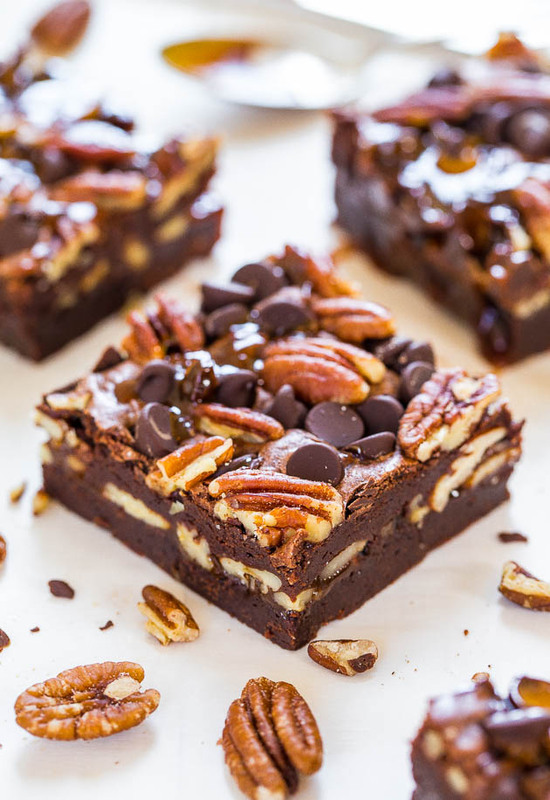 These turtle brownies look downright sinful! :) Pinned! These look absolutely delicious! 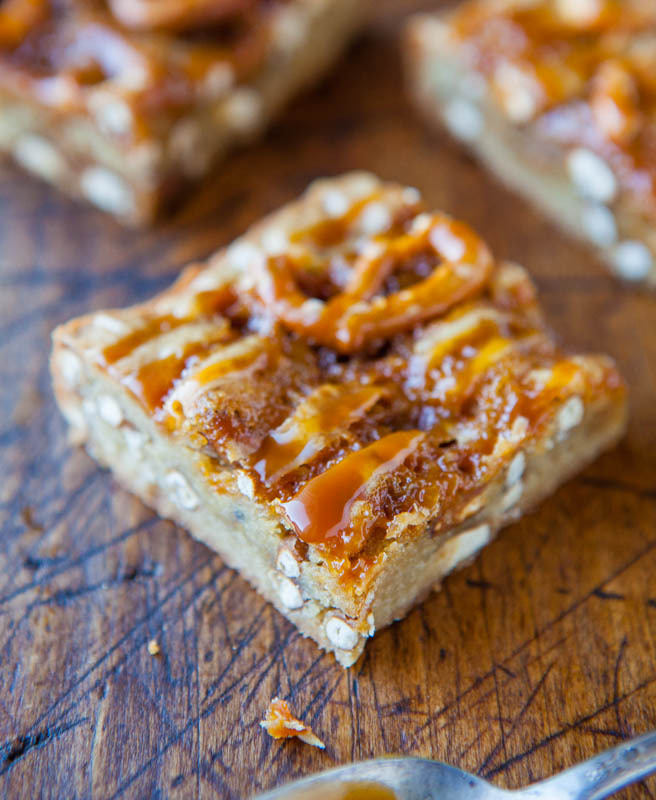 I’m going to make them tonight and was wondering if regular caramel sauce was ok instead of salted caramel. And maybe adding some sea salt on the top? These look amazing! I’m hoping to make them for a bake sale. If I wanted to use a 9 x 13 pan, how should I modify the recipe? This recipe is great, thank you! 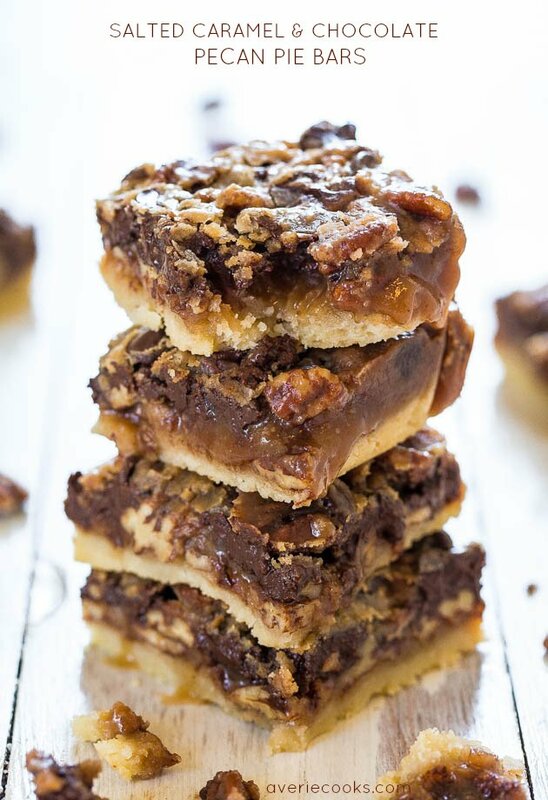 I love the nuts and caramel sandwiched between the brownie layers – deliciously oozy when warm! Overall I would say yes but baking isn’t always an exact science and you have to use your judgment and so it’s impossible to give absolute ‘rules’. 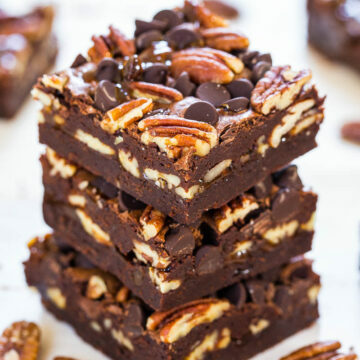 These turtle brownies recipe looks so amazing and yummy at the same time. Found your post so easy to follow along when preparing them yesterday. So mesmerized by this. Thanks, Averie for sharing! Thanks for the five star review and I’m glad these brownies are a hit for you!